Joni Bacon is the Accounting and Human Resources Manager at DeWitt Insurance, and has been with the agency since 2009. 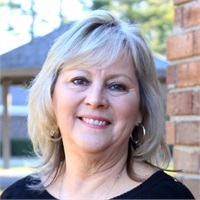 Joni has been in the insurance industry since 1992, and is a former member of the National Association of Insurance Women and was also previously an Accredited Customer Service Representative. Her favorite part of the job is being able to find solutions to everyday workflow problems and getting to interact with a wide range of people, a skill that has also led to her involvement in the Real Estate industry.